Hello Chamber Members! 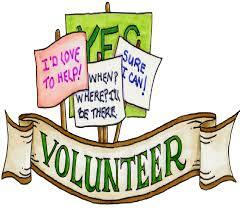 We are currently seeking volunteers to join our Ambassadors group. The Ambassadors are a very important part of the Chamber and we are seeking energetic leaders to join our group. Ambassadors help in many ways: they attend ribbon cuttings, assist with Chamber-sponsored events (such as Azalea Festival, Butterfly Festival, and more), support larger Chamber events (such as the Annual Chairman’s Banquet), and serve as liaisons between new members and the Chamber community at large. Ambassadors also provide a communication link between the Chamber and the local business community. Chamber Ambassadors demonstrate our organization’s commitment to achieving success together. If you are interested in becoming an Ambassador, please contact the Chamber at 409-384-2762 or email us at jaspercc@jaspercoc.org.